When you think of a trip to Costa Rica, one of your first thoughts should immediately be of volcanoes. 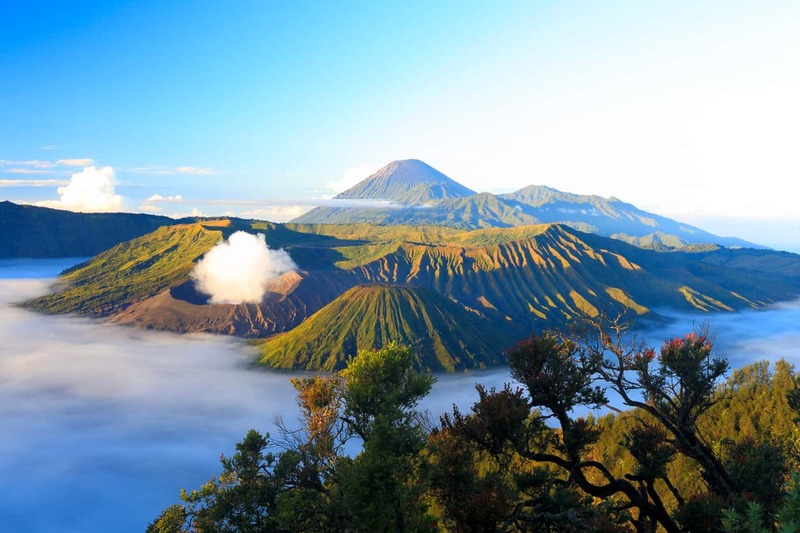 In a country with over 200 volcanic formations, both dormant and active, it would be a shame not to experience this geographic wonder first hand. Often, people unfamiliar with volcanoes imagine a blackened formation, covered in volcanic ash. This is usually the furthest thing from the truth. In Costa Rica, the volcanoes are thriving and active ecosystems, each with its own host of wildlife, plant life, and hot springs. 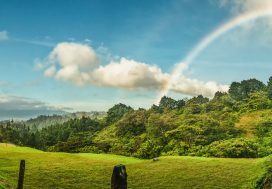 As the volcano ascends, the plant and animal life alters, creating the most incredible hikes for people looking to experience the natural biodiversity of Costa Rica. Appreciating Costa Rican volcanoes is for everyone; from the experienced hiker to the young family, there are activities for all ages and abilities. While there are too many volcanoes and volcanic formations to tour them all, there are a few which have proven to be favorites. These favorites have breath-taking biodiversity as well as maintained trails and activities so you are sure to make the most of your time. Arenal Volcano lies in the northwestern lowlands of Costa Rica, around 55 miles from the capital city of San Jose. Its nearly 5,500 feet of altitude give it an intimidating presence over the surrounding area, and the perfect cone shape of the formation makes Arenal the iconic volcanic structure that visitors are looking for. Situated in the fertile lowlands, this volcano is home to an impressive range of plant and animal life; and this biodiversity is only increasing as Arenal remains in a resting phase. This resting phase is not expected to last indefinitely as Arenal’s claim to fame is its constant and impressive action. This volcano, every single day from the major eruption in 1968 to October of 2010, spewed an incredible amount of lava and ash. This spectacle brought viewers from all over the globe, as watching the eruptions of an active volcano from a safe distance is not an opportunity everyone gets. This series of eruptions has ended, but has left just as big a spectacle in its wake. 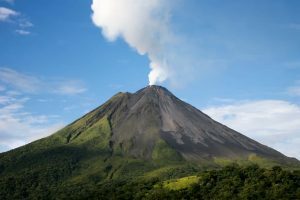 Arenal is not considered dormant, just sleeping, so intermittently you will still observe puffs of smoke and minor rumbles. And while the volcano is being observed for any signs of activities, the authorities have opened the area to nature lovers and adventurers. A trip to Arenal Volcano will offer rainforest hikes, whitewater rafting, horseback rides, and more. These hikes range from difficult to family friendly and guarantee an educational and awe-inspiring experience to any visitor. There is also a Nature Center and National Park near the Arenal Lake, right at the foot of the volcano, which can offer further ideas on what to do during your stay. They will educate you about the biodiversity you will experience and suggest trails depending on your priorities and needs. After a long and muddy hike, your family will be ready to rest. No need to leave the area, Arenal Volcano produces natural hot springs at its base, and spas can be found for every visitor ranging from affordable to luxurious. This will not only be an incredibly educational and active trip for your family, but will offer some down time and healthy, local food to enjoy within view of this iconic formation. 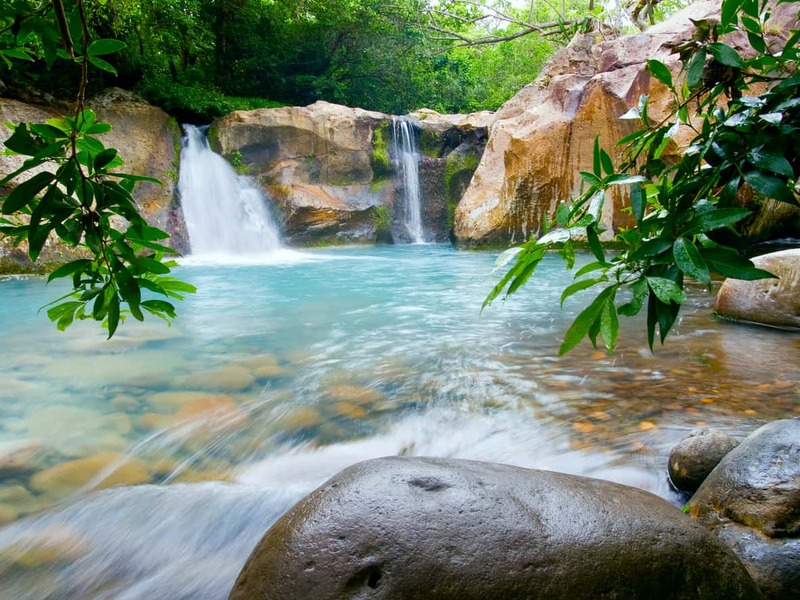 Rincon de la Vieja is in the Guanacaste department, just a day trip from Tamarindo or Liberia. This may be one of the more convenient volcanos for a visit, but rest assured that you are sacrificing no natural beauty for the convenience. Rincon de la Vieja is, in fact, one of the greatest examples of Costa Rica’s biodiversity in the entire country. From boiling mud pits (too scalding for a bath! ), to large families of spider monkeys, this volcano excursion is the nature lover’s dream. Rincon de la Vieja National Park is actually home to two volcanoes, one of the same name and the other called Santa Maria. This national park is praised for maintaining some of the largest examples of plant life and fauna diversity. 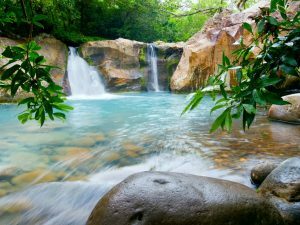 With absolutely breath-taking scenes, including two volcanoes, mud pits, streams and springs, a fresh water lagoon, and countless waterfalls, this park is perfect for a long hike or just a simple picnic in nature. If you do choose to take a longer hike, you can keep your eyes peeled for spider monkeys, motmots, toucanets, jaguars, cougars, and tapirs. There will also be countless tropical flowers, exotic birds, and lush greenery. For the more adventure-inclined, the national park offers tourist services including guided hikes, horseback rides, hot springs, ziplines, waterfall rappelling, and even more. This is the perfect destination for the whole family as you’ll learn about the area’s history, diversity, and ecosystem and have the opportunity to engage in adventurous fun. Located in Central Valley, a visit to Poás Volcano and its two crater lakes is a favorite for locals and visitors alike. This volcano is one of the largest active volcanoes in the world and is currently off-limits after a large eruption this past April. 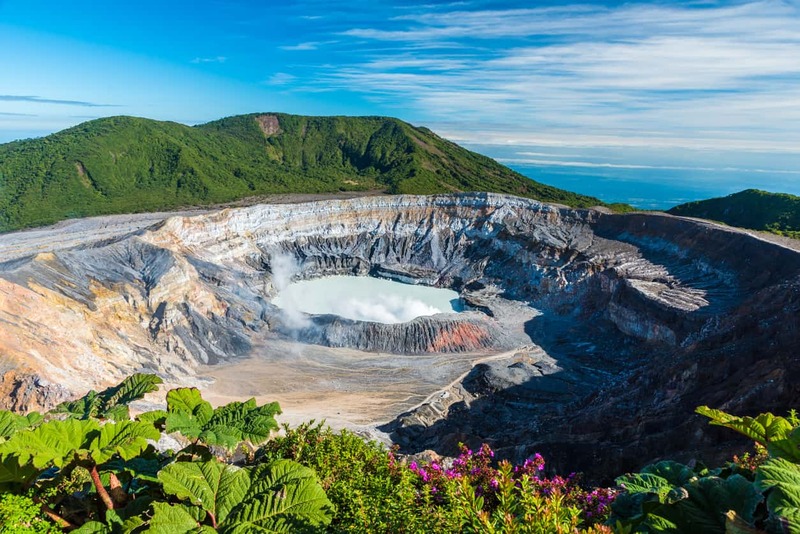 Eruptions may cause several shut downs a year, but the volcano is cautiously studied and monitored by the Volcanology Institute at the University of Costa Rica, so when the park is open, it is safe fun for all visitors. Nearing the Poás National Park, you’ll be immediately reminded of the volcano’s immense contribution to the country’s geothermal forces by the misting clouds above the peak and the sulfuric smell up-wind. The two crater lakes are constantly running water into pockets of the volcanic surface, causing steam breaks where the water quickly evaporates. The mist, sporadic steam breaks, and powerful image of the multi-colored volcanic rock is enough to inspire awe in any visitor. When open, trails through this cloud forest offer an eerie and powerful experience, and the nature center below will be able to describe to you the true strength of the volcano. You’ll also be able to warm up with a cup of coffee and sandwiches in the center after a chilly hike. Although this park is rather small, it contains both a cloud forest and a tropical rainforest, each with its own plant life and wild animals. Complete with wheel-chair accessible visitor centers and restaurants, this will be a break from the beaten path during your Costa Rican vacation. We guarantee you will learn a lot and experience new views and natural phenomena for the very first time during your visit. 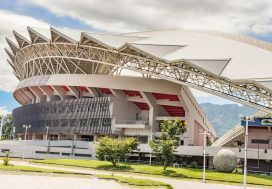 Why is Costa Rica better than Nicaragua for a real estate investment?